Zack has to help his sisters make up after an out-of-this world argument in this twelfth Galaxy Zack chapter book adventure. Zack’s twin sisters are the best of friends. They’re never apart, share everything, and even finish each other’s sentences! But when the two get into an argument while visiting another planet, an astronomical fight ensues. 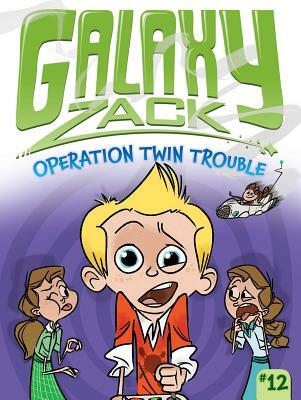 Suddenly, Zack finds himself stuck in the middle of a tricky twin situation. Can he save Cathy and Charlotte’s sisterly bond from intergalactic destruction? With easy-to-read language and illustrations on almost every page, the Galaxy Zack chapter books are perfect for beginning readers!